Price for ADULTS: $25.00 | STUDENTS: $20.00 (8-12 years old). Our nature guide will unveil the secrets of Monteverde's Rain Forest, located inside our natural reserve, and lead you through all eight hanging bridges built throughouth a 2 mile walk (3 km). 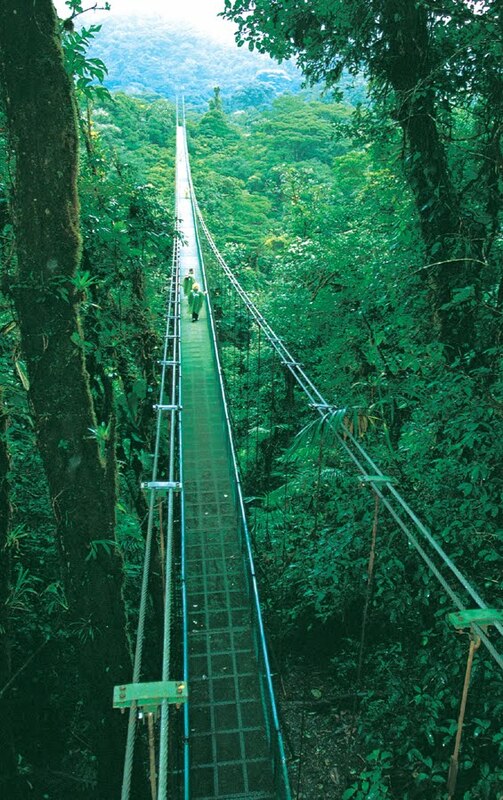 The tour will provide an opportunity to appreciate, from a different perspective, the particularities of the Rain Forest, unique in its kind.